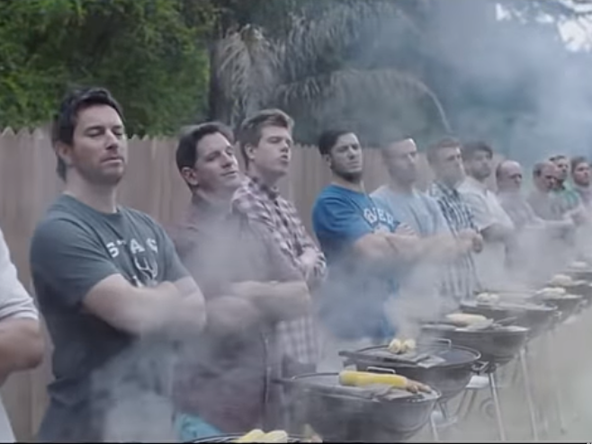 A storm has greeted Gillette’s latest ad challenging toxic masculinity. Jem Fawcus looks at what our changing perception of masculinity means for brands and their communication strategies. So commented Piers Morgan on a clip of Gillette’s latest ad campaign ‘Is this the best men can be’ which has sparked controversy on both sides of the pond and a Twitter campaign for a Gillette boycott. In an era when much is written and said about toxic masculinity, getting brand communications right for men has never been more important, nor such a minefield. Who are men? What are men? Answering these questions has become no simple undertaking and in the first weeks of 2019 we are seeing the fall out. In GQ’s State of Man report into perceptions of modern masculinity, ‘being present as a father’ is the statement most associated with modern masculinity, opposed by only 14% who consider it to be the ‘main breadwinner’. Some 70% of men aged 25-34 think that telling a man to simply ‘man up’ is tired, staid and unhelpful. Which it is. But don’t tell Piers. Or maybe do. The changing perception of what it means to be a man presents brands with a quandary. Marketing has played its part in developing this macho culture, and many feel that it bears responsibility to undo it. The notion now is that brands must play a role in defining what masculinity needs to become. But there’s no rulebook here. No past precedent upon which to base communication. Adland sits in a unique position to guide discourse in the public sphere — one not available to commentators and journalists. Most people don’t have a choice in the ads they see. The ideas brands push out resonate through repetition. But brands must tread carefully. Culture is changing so fast, it’s hard to keep up, and some men, like Piers, aren’t yet ready for some messages. Which is fair enough. But there are two sides to any story. While some men aren’t ready for some messages, some women are sick of the messages that currently exist. As a brand, who do you please? Kleenex certainly decided to please the vocal minority, when after six decades, it announced its man-size tissues would no longer grace supermarket shelves in the UK. While man-sized tissues have nothing on Yorkie’s ‘Not for girls’ campaigns of old, it hits home a wider point about how public an issue toxic masculinity has become. While our understanding of the concept has developed, most brands, for fear of appearing out-of-touch or sexist, acquiesce post-haste. But if you are a brand with a vastly male audience – spanning urban and rural locations – which either holds very different understandings of the concept of changing masculinity, or quite frankly couldn’t care less — is it the right move? The truth about masculinity is that it is entirely subjective. While precedent now certainly exists for others to jump on the bandwagon, perhaps after the latest Gillette advert many brands will think twice. Brands that take the risk though, should present ideas in a way that accepts masculinity is evolving, and means different things to different people, rather than tub-thumping virtuous credentials. Ultimately, it’s about highlighting the ways in which masculinity has and is changing, as well as embracing the fact that men should not be restricted by traditional stereotypes any more than any sector of society should expect to be. Ideally our work should also reflect that masculinity means different things to different people and, seen objectively, it feels to me that Gillette has done a pretty good job of that. Culture changes – none of us would like to be stuck only in the masculinity of the Spartans, Regency dandies, or Victorian patriarchs – we should celebrate that, rather than agonise over it.